Earlier this year, we were awarded a contract from the National School District of National City, CA. 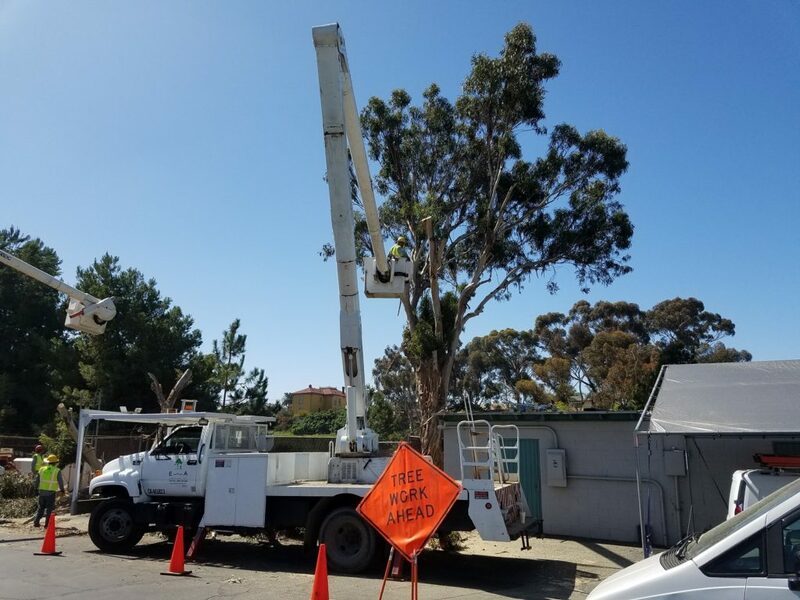 The district had identified 26 large Eucalyptus Trees and 19 Pine Trees to be removed at various schools throughout the district and at the district offices. 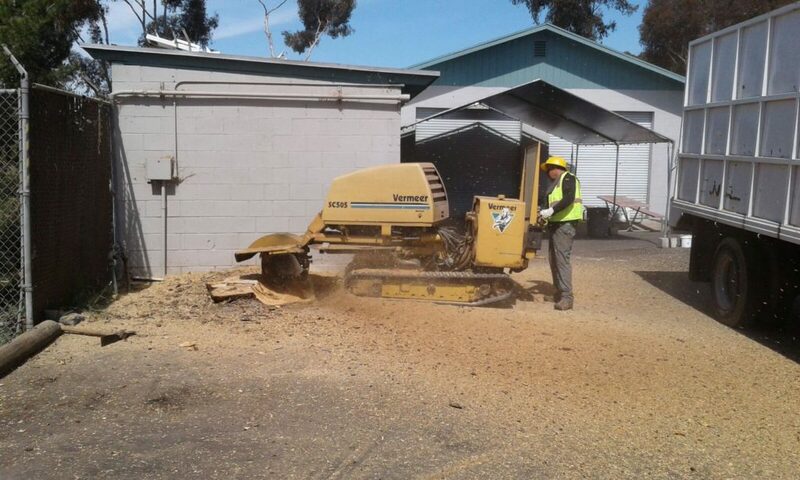 Many of the trees also require stump grinding so they don’t become a hazard to the students or faculty. 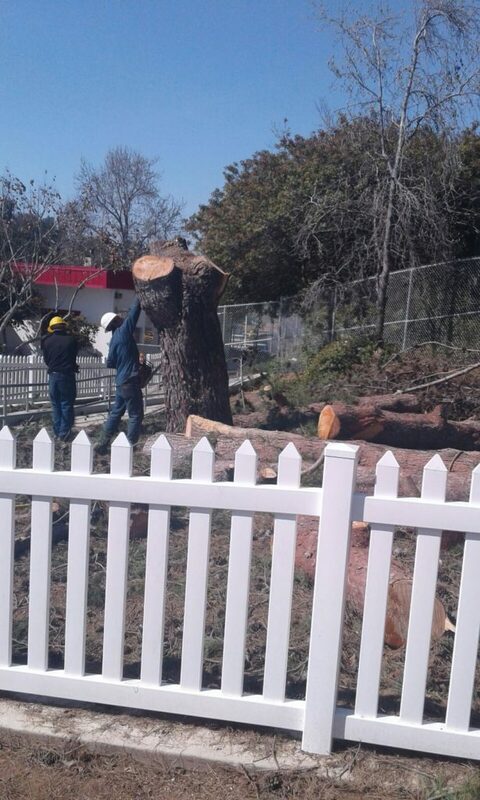 We began with the removal of a 50′ pine at the district’s preschool. 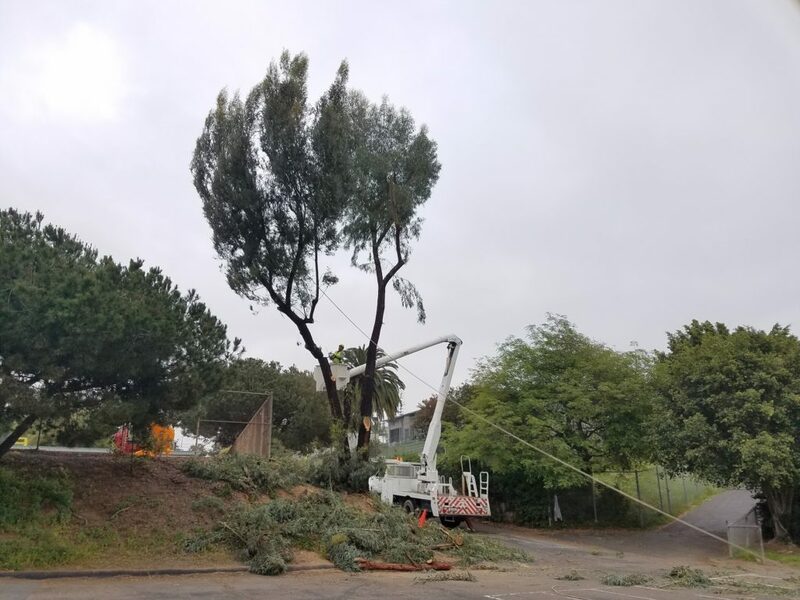 With this tree and most of the trees being located close to buildings, fencing or playground equipment, we are exercising great care and caution to safely remove each tree. 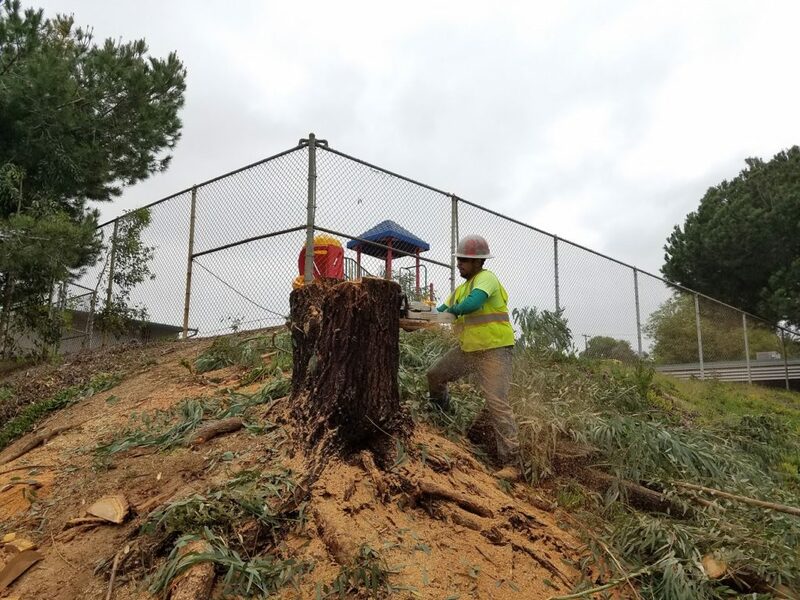 Once we completed the preschool Pine Removal, we moved on to several Eucalyptus tree & stump removals at the District Office. 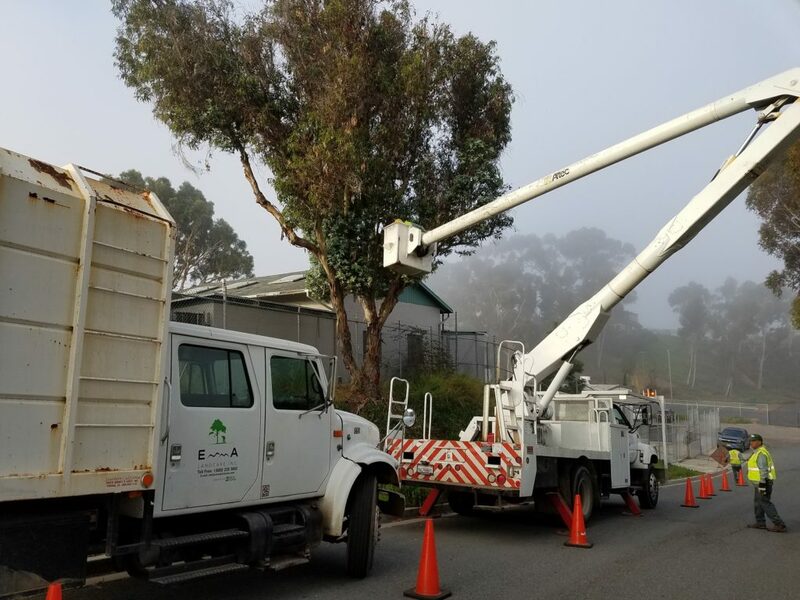 We removed 4 large Eucalyptus utilizing our bucket trucks, technical rigging and a great deal of precision to ensure no surrounding structures were damaged. 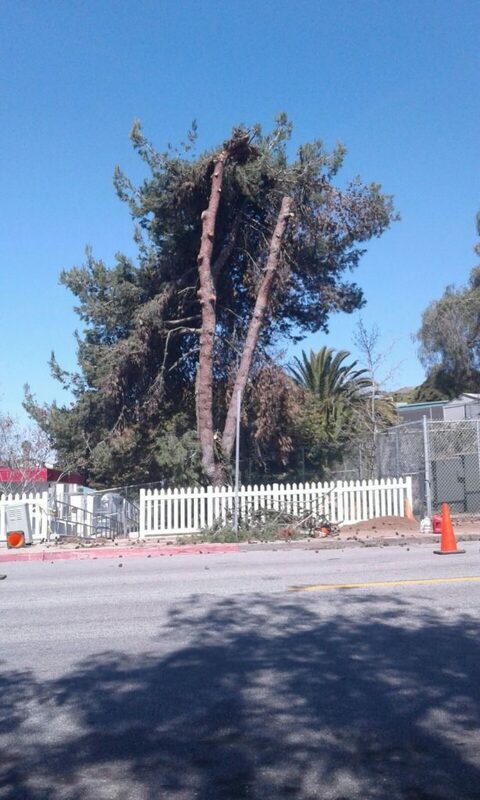 These large, heavy trees can be very dangerous to remove. However, our crew of highly trained and experienced technicians have the skills to safely and efficiently complete the task! 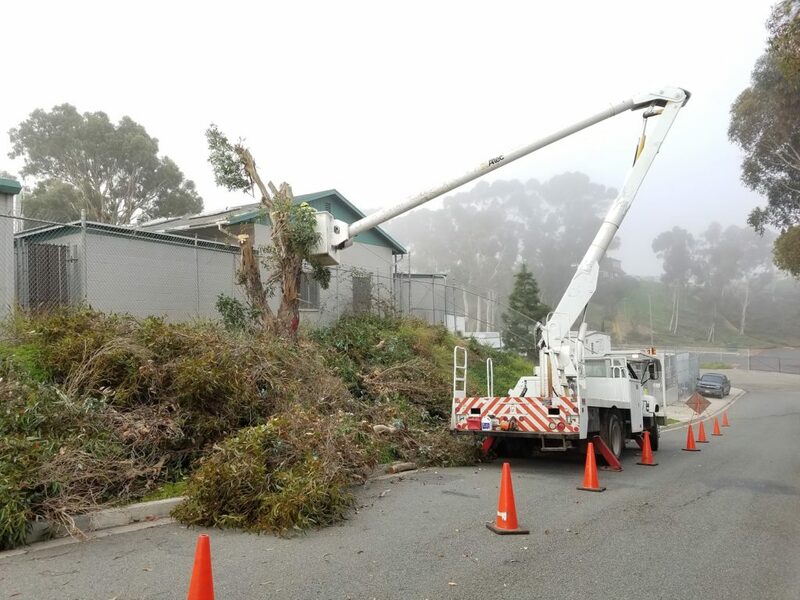 In areas with no access for our bucket trucks, the tree removal requires a climber to enter the tree and make the cuts from the top down. 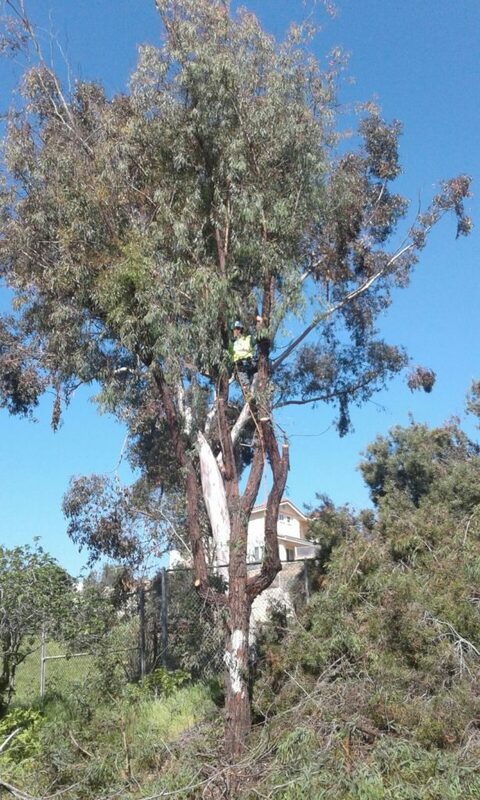 Over the coming weeks and months, we will continue with many more large Eucalyptus and Pine tree removals. We will also be performing palm tree trimming on 99 palm trees of various species. 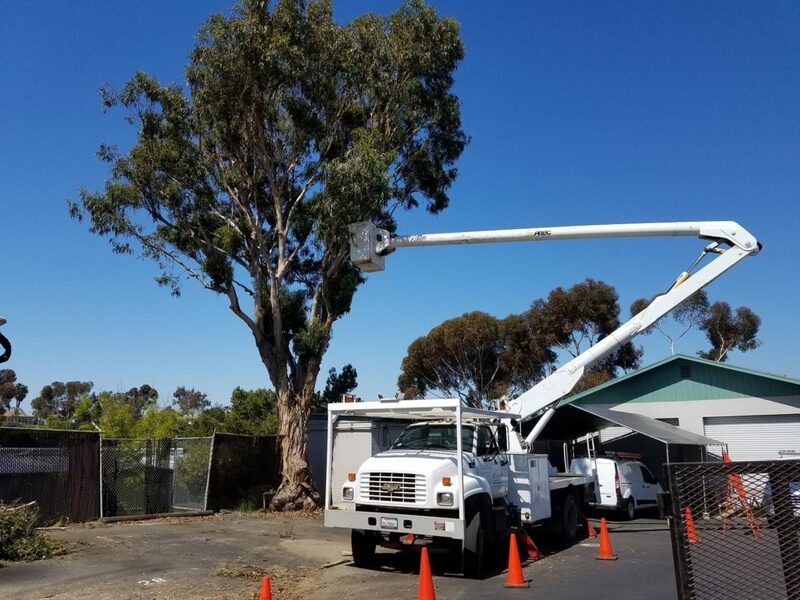 Are you in need of tree removal or tree trimming services? Contact us today for a Free Estimate! 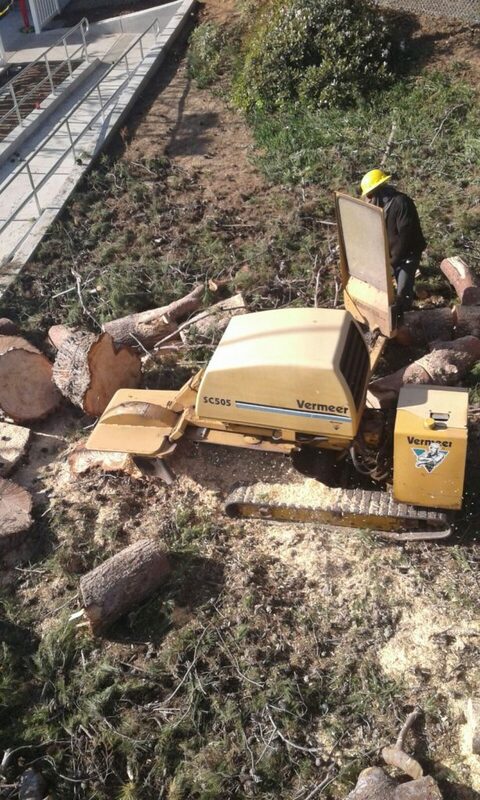 /you can trust our crew of experienced arborists and fleet of modern equipment to do the job right!